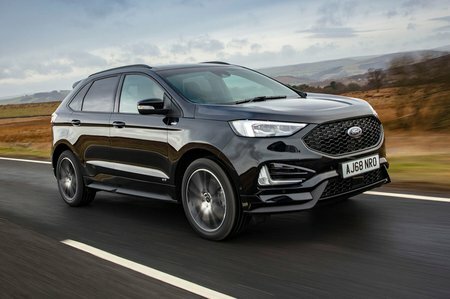 Ford Edge Performance, Engine, Ride, Handling | What Car? The range kicks off with a 148bhp 2.0-litre diesel (2.0 EcoBlue 150) that we’re yet to try out. 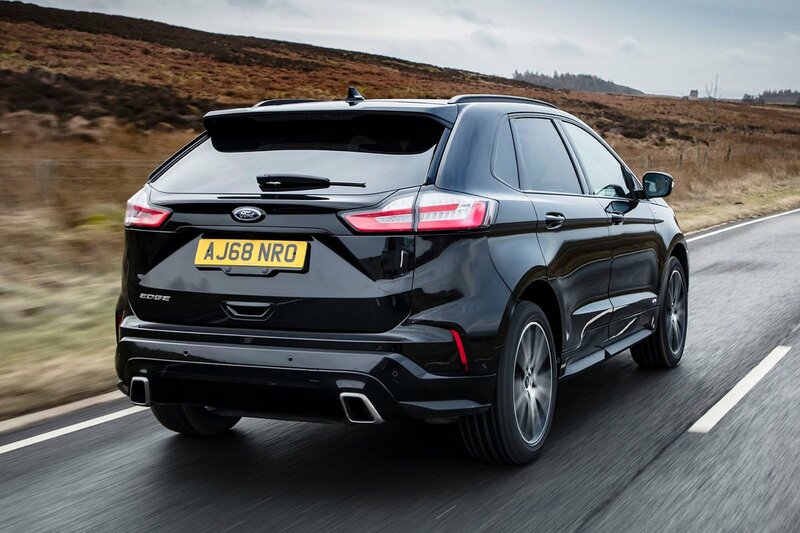 On paper its 11.2sec 0-62mph time is rather slower than average, considering that an entry-level Audi Q5 or Volvo XC60 2.0-litre diesel will get you there around three seconds faster. We’d suggest the 235bhp 2.0-litre diesel (2.0 EcoBlue 238) would be the wiser choice for anyone who needs a bit of oomph for towing, or even making decent progress with a fully loaded car. It still can’t match the pace of the Q5 and XC60, but offers similar get-up-and-go to the Peugeot 5008 2.0 BlueHDi 180. And, with a good spread of mid-range torque, it pulls you along in a stress-free manner, even if ultimate performance is brisk at best. Both engines use an eight-speed automatic gearbox as standard. It’s not particularly responsive when you ask for a burst of overtaking power and hesitates noticeably between first and second gears when you’re hard on the accelerator. This indecisive nature makes it prone to thumping at slow speed and it dithers terribly between first and reverse when you’re performing the parking shuffle at journey’s end. However, it all comes together when you’re travelling at speed and mainly using the higher gears. Things have moved on apace in this class when it comes to refinement. Smooth, quiet progress is no longer the preserve of expensive premium models; while the Q5 is exceptionally hushed in most respects, the markedly less expensive Peugeot 5008 and Citroën C5 Aircross are pretty restful, too. Sadly, the Edge feels a little behind the times. There’s a lot of road noise and, if you have the panoramic roof fitted, plenty of wind noise as well. 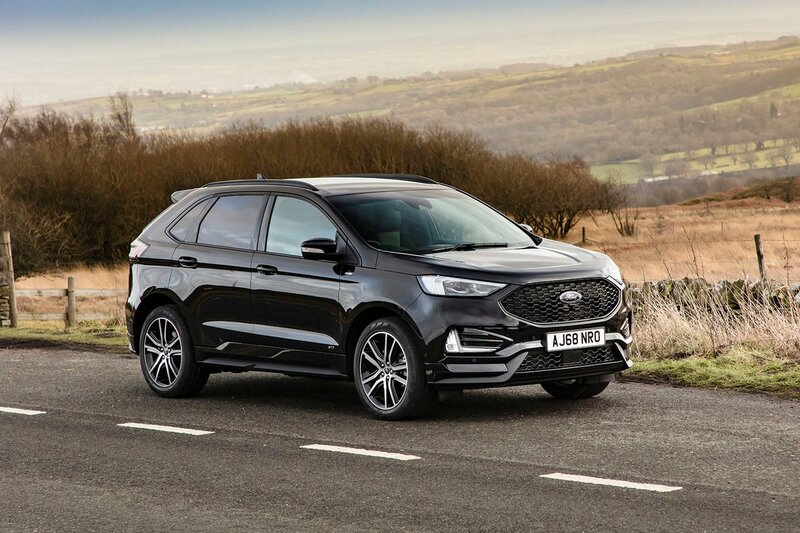 While its ride quality has previously impressed, in ST-Line trim, which comes with the bigger 20in alloy wheels and firmer springs as standard, the Edge rather loses its edge. It still flows easily over long-wave kicks and dips, especially at higher speeds, but as soon as the surface degrades to include sharper intrusions, the jarring and thumping begins. On really corrugated surfaces, you can feel a shimmy travelling through the body, too. Previous experience tells us that the smaller 19in wheels (fitted to the entry-level Titanium trim only) offer an improvement, but the Q5 on air suspension is much better resolved, as is the 5008 — aside from when 20in wheels are fitted. The Edge doesn’t offer class-leading handling, either. It feels hefty and is slower to change direction in tight turns than the Mazda CX-5, and the steering isn’t as precise or progressively weighted as it is in something like the Q5. At least it doesn’t wallow about when you really start pressing on, though, and there’s a good reserve of grip available. If you need to tow a caravan, the Edge can haul up to 2000kg, which is decent but not exceptional.